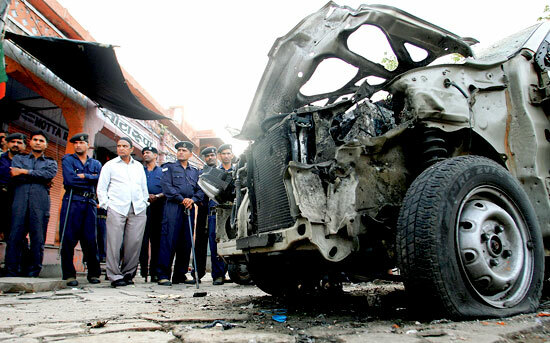 Indian police were Wednesday interrogating a dozen men detained after eight near-simultaneous bombings killed about 80 people in crowded markets in the tourist city of Jaipur. Despite a bumper crop, Bangladesh plans to increase rice imports in the coming year so as to help make the essential foodstuff affordable to millions of poor people, a senior food official said on Wednesday. Four Palestinians were killed on Wednesday in Israeli military operations in the Gaza Strip, medics said, as US President George W. Bush landed in Israel on a trip in honour of its 60th anniversary.